Club Fonograma Archive: Bill Yonson - "Chola"
Bill Yonson (Josué Coronado Navarrete) belongs to a new b-level of DIY pop stylists/expressionists making some of the most exciting music coming out of Mexico (Tony Gallardo II, Pájaro Sin Alas, Fonobisa). 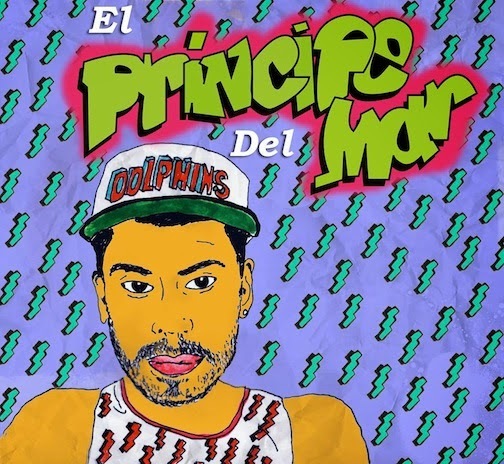 Via our friends at Matinee As Hell, we learn about his forthcoming sophomore album, El Principe del Mar (in all due honor to El Principe del Rap if you had not figured out by the album cover). While initially alienating and hard to take seriously, Bill Yonson’s new single “Chola” proves to be as deep cutting as it is charmingly weird. “Ese apodo de ojos tristes te queda bien,” sighs a decoded voice as it scratches a platform of casio keyboards and dembow. Affording wittiness on the promotional cut of your album is a very good thing. If Pipe Llorens made a hit out of “Dame Un Besito,” and María y José finally percolated into Mexican radio with “Ultra,” Bill Yonson’s shot at an urban ballad should encounter a similar faith.